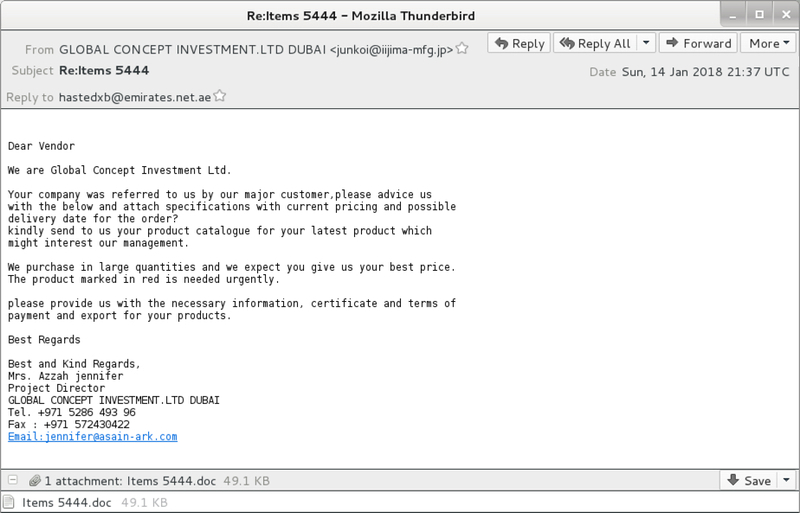 Today's malspam attachment is an RTF file disguised as a Microsoft Word document that uses an exploit for CVE-2017-11882. The exploit only requires that you open the RTF file using Microsoft Word on a vulnerable Windows host. The follow-up malware (Formbook) was retrieved using SMB (TCP port 445) from a shared drive at \\185.198.59.121\s. 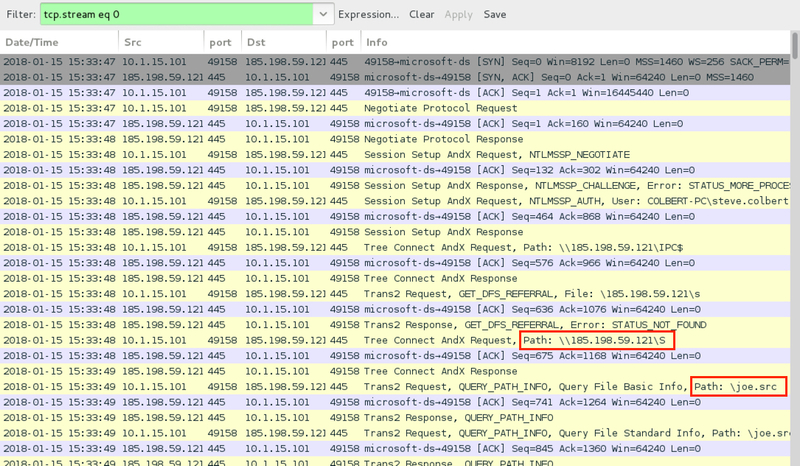 I previously documented another case of CVE-2017-11882 last year on 2017-12-13 (it was pushing Loki Bot that time). Shown above: Opening the RTF file in Microsoft Word gives you a fake popup notification to distract you from the infection that's happening. 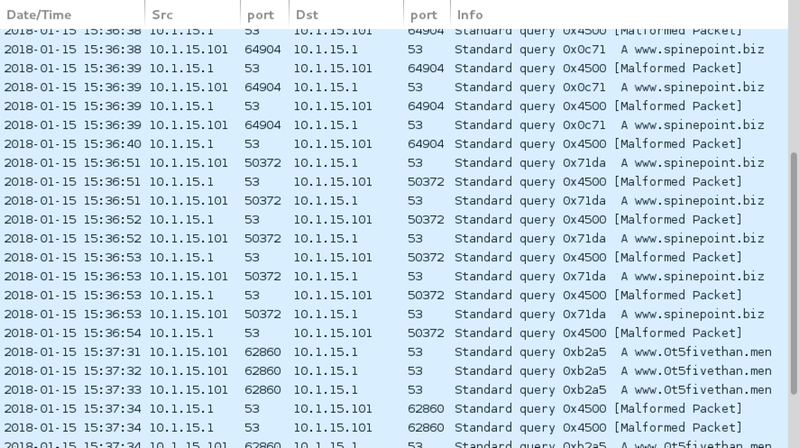 Shown above: SMB traffic to retreive the follow-up malware as seen in Wireshark. Shown above: HTTP traffic caused by the Formbook info stealer. Shown above: DNS responses for two domains were malformed. 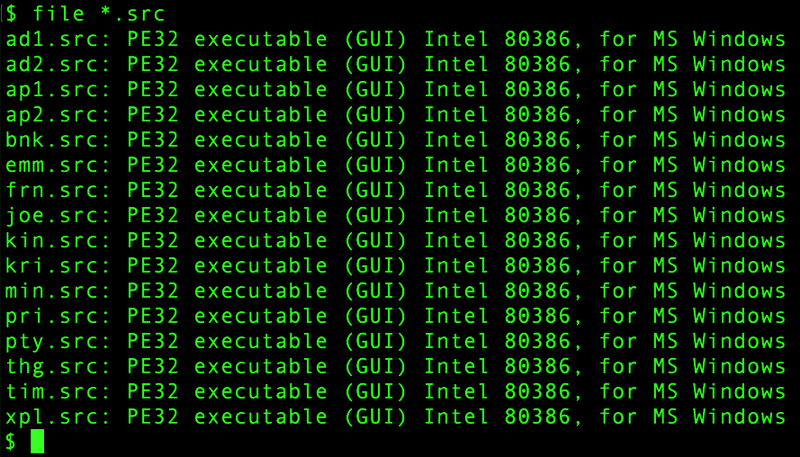 Shown above: Alerts from Sguil in Security Onion using Suricata and the EmergingThreats Pro (ETPRO) ruleset. 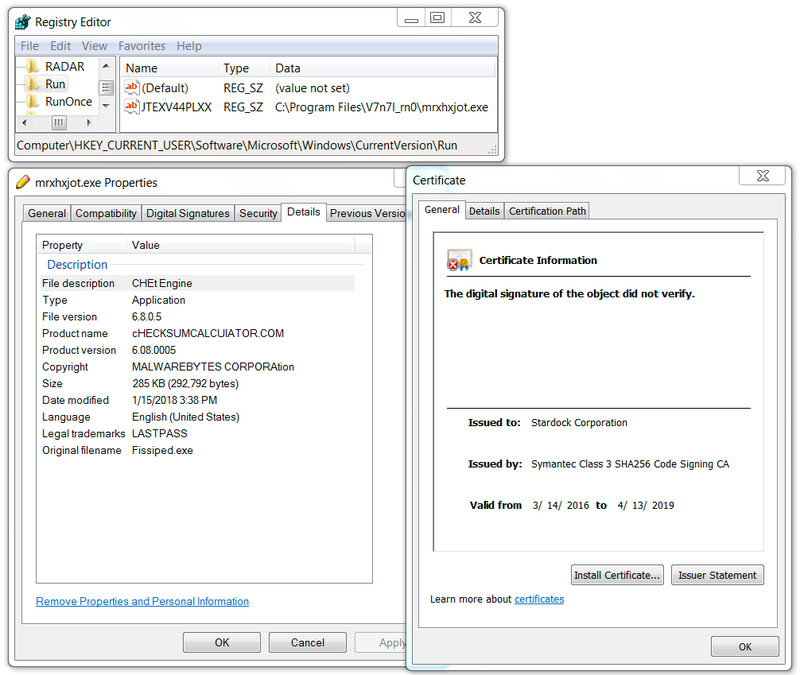 Shown above: Registry key and associated Formbook malware on the infected Windows host. 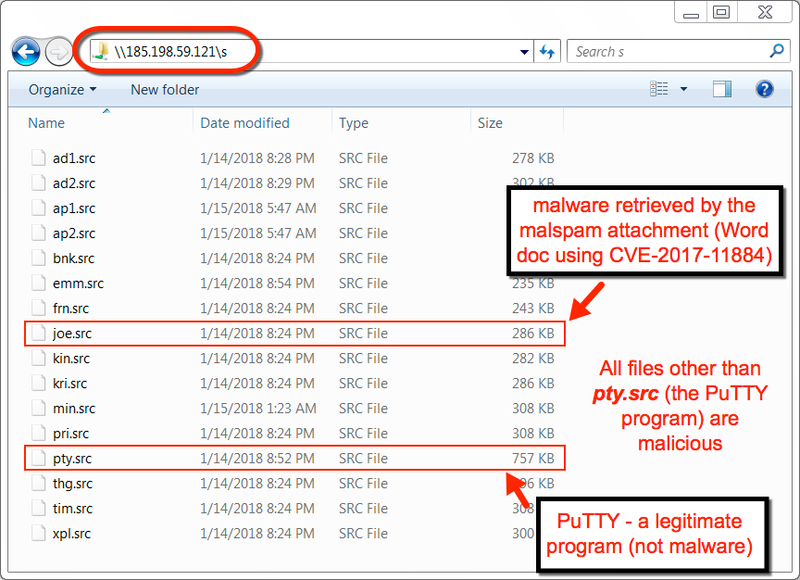 Shown above: You can easily connect to the shared drive on 185.198.59.121 and see more malware. Shown above: Although the file extensions are all .src, they are all Windows executable files.